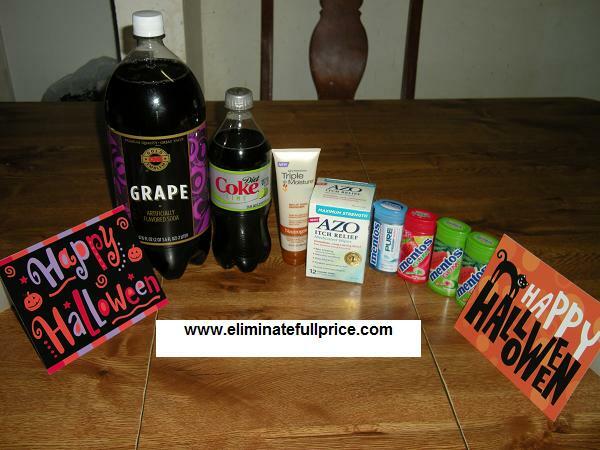 Eliminate Full Price: Super Sunday Savings @ CVS - How I spent $1.60 on items worth $28.49! Super Sunday Savings @ CVS - How I spent $1.60 on items worth $28.49! New sales at CVS start on Sunday so I had to go and take advantage of the new deals. I wanted to get more Extra Care Bucks (ECB) to use on buying Bio Oil which is worth $12.99. I had read great reviews about this product so I want to try it. I created a scenario where I would use only $7.98 in ECB plus other coupons and get back $12.49 ECB after my transaction. Which means I gained $4.51 in ECB from the $7.98 ECB I used. I was able to buy everything in the picture for only $1.60! I read on Slickdeals that the Neutrogena Triple Moisture Split End Mender had an ECB deal where when bought it would give $7.49 ECB essentially making it free if bought with ECB. Plus someone had posted a $2 off coupon that can be used on it. Then I got another box of AZO wipes since it is a monthly deal at CVS where when bought it would give $5.00 ECB. Then I used a $2 off coupon from their website. The Mentos Gum is Buy 1 Get 1 Free this week. I combined this deal with four $1 off 1 box of Mentos Gum coupons that are available in the 10/3/10 Smart Source coupon insert. I had a free 20 oz. Coke product coupon I got from mycokerewards.com. Then I bought 2 Halloween cards and 1 bottle of Grape Soda. $28.49 total before coupons - $1.60 total after coupons & tax = $26.89 in savings! As I mentioned earlier I received $7.49 ECB from the Neutrogena Triple Moisture Split End Mender and $5.00 ECB from the AZO wipes for a total of $12.49 ECB from this transaction. I was able to turn turn $7.98 in ECB into $12.49 ECB which is a $4.51 gain. I'm planning to use the $5.00 ECB I earned from this transaction, $6 ECB I already have, and a $2 off manufacturers coupon on buying Bio Oil so I can get it for either free or almost free (like $1 or $2 out of pocket).